Do you want to have a picnic at Foxes Lair? There are so many wonderful places to have a rest and enjoy the scenery. 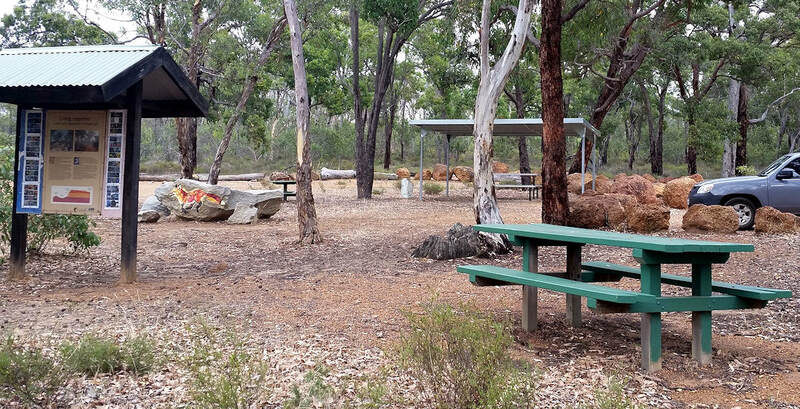 The Marri picnic area is the starting point for the Breakaway, Valley, and Banksia walk trails. 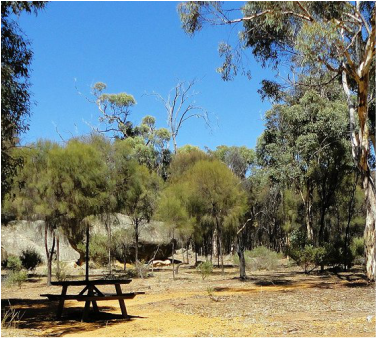 Nestled in marri-wandoo woodland it is a great area to have a picnic and listen to the birds. On hot still evenings you can take a packaged dinner and watch the moon rise while bats fly overhead. The Claypit picnic area is the starting point for the Claypit Walk has a picnic table and benches. When complete there will be an information bay and benches and the surrounds will be revegetated. The disabled will be able to access facilities as well as a proposed wheelchair trail. The twin 'dams' that contain water in winter/spring attract birds and kangaroos as well as families with children. Please supervise young children at all times. The claypit and associated walk, and rock sheoak woodland are great birdwatching areas. The Arboretum picnic area is located in beautiful granitic sheoak country overlooking the Arboretum. 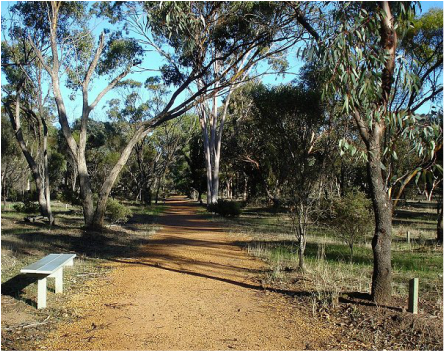 Visitors can have a picnic at disabled friendly picnic tables, walk the Granite walk, or a short wheelchair walk or inspect the many different eucalypts in the arboretum.